The Public Security Intelligence Agency has set up the government’s first website about the Aum Shinrikyo cult and the series of crimes it committed — including the deadly 1995 Tokyo subway sarin gas attack — with the aim of broadening the public’s awareness of the group, which now has three offshoots still in operation. The site hosts writings by victims and grieving families. 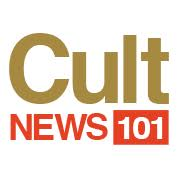 The website — accessible at www.moj.go.jp/psia/aum-23nen.html — also provides court testimonies by former cult members as well as photos. The website is only provided in Japanese. The sarin gas attack on the Tokyo subway system in March 1995 killed 13 people and left more than 6,200 others ill. An earlier June 1994 sarin attack occurred near judge housing in Matsumoto, Nagano Prefecture, killing eight people. Shizue Takahashi, 71, whose husband, a subway station officer who was killed in the 1995 attack, wrote on the website that her “heart has continued to be shaken to this day.” She provided copies of her husband’s medical treatment records following the attack and his post-mortem certificate. Writings by two others are also posted on the website. In addition to the two attacks, the website provides details on about 15 criminal cases, including the 1989 murder of anti-Aum lawyer Tsutsumi Sakamoto as well as his wife and son. Aum Shinrikyo has split into three groups: One called Aleph, an offshoot of Aleph, and Hikari no Wa (Circle of Rainbow Light). The last group was launched by former Aum Shinrikyo spokesman Fumihiro Joyu, 55, according to the agency. The three groups are estimated to have 1,650 followers in total. The agency said members of the first two groups have a more pronounced faith in the Aum founder and death row inmate Shoko Asahara, 62, whose real name is Chizuo Matsumoto.